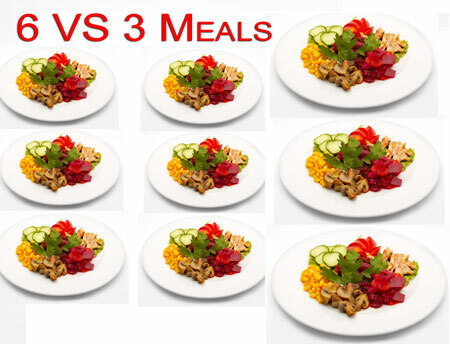 6 meals a day VS 3 | Which is Better? I always thought 6 meals was better for fat loss and gaining muscle, right? There have been several studies (1 2) mentioned by fitness writers lately suggesting that eating more meals per day does not increase your basal metabolic rate (BMR) and therefore there is no benefit from a muscle building or fat loss perspective. Therefore, you may automatically conclude that you should go ahead and eat a larger breakfast, lunch and dinner versus eating six smaller meals with the same total caloric intake if you are trying to change your body composition. By eating more frequently, you may maintain the satisfied 'full' feeling which contributes to how many calories you may consume in one meal. There may be a difference between six and three meals per day with regards to this factor. Ingesting a larger amount of food in one sitting can increase insulin levels more than spreading out meals. Insulin plays an important role in weight gain as a sustained increase in insulin levels are directly associated with fat storage. Cortisol is another hormone which can effect fat storage and we would like this factor to be included when deciding the ideal amount of meals to eat per day. Too much cortisol is related with fat storage. Note: If you are new to the cortisol hormone discussion we have a more in-depth article here. Gaining muscle increases your basal metabolic rate (BMR) as muscle requires more calories to maintain itself than fat does. To gain muscle a goal should be to achieve maximum protein synthesis (MPS), as it can maximize your muscle gaining potential after tearing down muscle tissue through resistance training. By contrast, in normal-weight people, snacking does not necessarily lead to increased energy intake, while snacks often contain more carbohydrates and less fat than regular meals. This study suggests that there are no documented studies of increased daily enery expenditure by increasing meal frequency. This study also concludes that there is no increase in total daily expenditure by increasing meal frequency. However, it does allude to the fact that you may eat less total fat calories if you eat smaller 'snacks' throughout the day. This data suggest that when the nutrient load was spread into equal amounts and consumed evenly through the day in lean healthy males, there was an enhanced control of appetite. This greater control of satiety when consuming smaller multiple meals may possibly be linked to an attenuation in insulin response although clearly both other physical (gastric stretch) and physiological (release of gastric hormones) factors may also be affected by the periodicity of eating. Appetite suppression is a key factor in any weight loss goal and to do so requires less temptation. This study examined the relationship of satiety on meal frequency and found that the more times you eat in a day the less you feel like you want to stuff yourself full of calories. As compared with the three-meal diet, the nibbling diet reduced fasting serum concentrations of total cholesterol, low-density lipoprotein cholesterol, and apolipoprotein B by a mean (±SE) of 8.5±2.5 percent (P<0.02), 13.5±3.4 percent (P<0.01), and 15.1±5.7 percent (P<0.05), respectively. Although the mean blood glucose level and serum concentrations of free fatty acids, 3-hydroxybutyrate, and triglyceride were similar during both diets, during the nibbling diet the mean serum insulin level decreased by 27.9±6.3 percent (P<0.01) and the mean 24-hour urinary C-peptide output decreased by 20.2 ±5.6 percent (P<0.02). In addition, the mean 24-hour urinary cortisol excretion was lower by 17.3±5.9 percent (P<0.05) at the end of the nibbling diet than at the end of the three-meal diet. The blood glucose, serum insulin, and C-peptide responses to a standardized breakfast and the results of an intravenous glucose-tolerance test conducted at the end of each diet were similar. While the number of pariticipants was low; it did examine the effects of multiple meals versus bigger meals less often. The most important point to take away from this study was that both levels of serum insulin and urinary cortisol were lower in the multiple meal group. If you are unsure what this means, it's ok, keep reading. 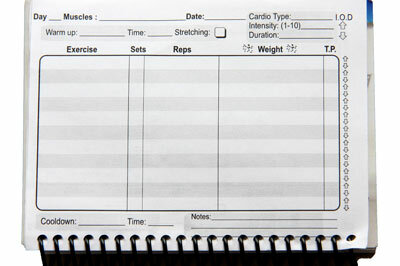 Synthesis What is the ideal amount of protein and how often should I take it to increase muscle mass? This is also known as Maximum Protein Synthesis (MPS) A great slideshow presentation was conducted here. 1 meal: beef (51g protein) Total protein intake: 225g/day 3-4g leu supplement consumed between meals may optimize MPS response. An increase in the amount of meals per day up to 5 or 6 with a higher protein content will maximize MPS and increase the potential for muscle growth. Fat Oxidation and Satiety This study examined the effects of 3 meals per day VS 2 meals per day. 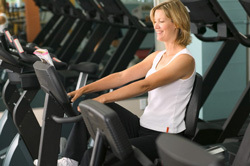 - No effects on total daily energy expenditure were found by increasing meal frequency. An increase in meal frequency showed higher satiety and also fat oxidation. While this study did not examine six meals versus three meals it does provides support for eating more often to increase satiety. It may be safe to conclude that increasing meal frequency does not increase your total energy expenditure (TEE). You may then assume that TEE and weight loss are directly correlated. This is not the case because other factors may be more strongly correlated to gaining weight such as total daily caloric intake and how you metabolize fat. Fat storage hormones such as insulin and a high level of cortisol are associated with increase adipose tissue and eating less frequently. It is good to question why the 'experts' suggest a certain recommendation especially when it may be easier to just do the 'easy way' (3 meals per day) but it is clear that eating more meals more often keeps your insulin, cortisol, and satiety levels in check while maximizing protein synthesis to help gain muscle. NOV 21, 2011 UPDATE: Another meal frequency study has shed more light on the subject and correlates eating less often with being obese. They suggest eating three times per day with two snack meals.